The trails around these reservoirs in northwestern Oklahoma City, about 10 miles from downtown, are some of the most popular running areas in town. There are myriad options for running here. Lake Hefner is home to the Bert Cooper trail system (which includes a loop around the lake), Lake Overholser has its own trail system, and the Hefner-Overholser Trail connects the two lakes. The Lake Hefner Trail (also referred to as the Bert Cooper Trail) is a paved 9.6 mile loop around the lake, with great water views. There’s a park, fishing, a yacht club, and restaurants. One of OKC’s major recreation destinations. MAP. The Lake Overholser Trail runs about 2.5 miles along the east side of the lake, connecting with the Oklahoma River Trail in the south. The trail runs from NW 39th Street and Overholser Drive along the east side of Lake Overholser to Overholser Park at NW 10th St. There are fishing docks, playground and park pavilion. MAP. The Hefner-Overholser Trail is a paved 6 mile stretch through secluded wildlife refuges and alongside bustling streets. About 2 miles is an on-street bike trail. It runs from Britton Road at Lake Hefner Drive to NW 39th Street at Overholser Drive. MAP. All three paths can be combined for lengths up to 18 miles. MAP. You’ll need a car to get to these spots. 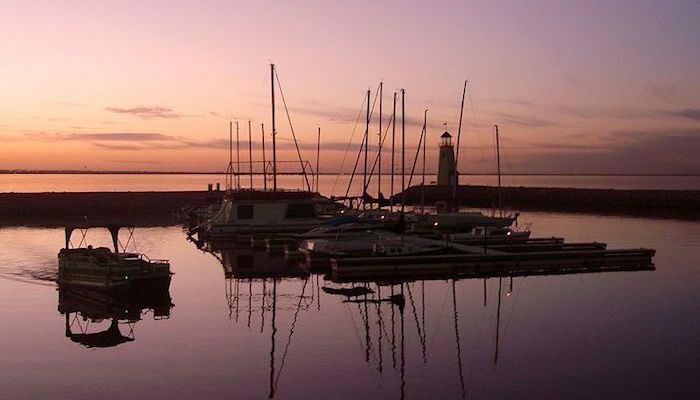 Lake Hefner: 9.6 mile (15.4 km) loop; Lake Overholser: 2.5 miles (4 km) one-way; Hefner-Overholser Connector is 6 miles (9.6 km). Combine for 18 miles!